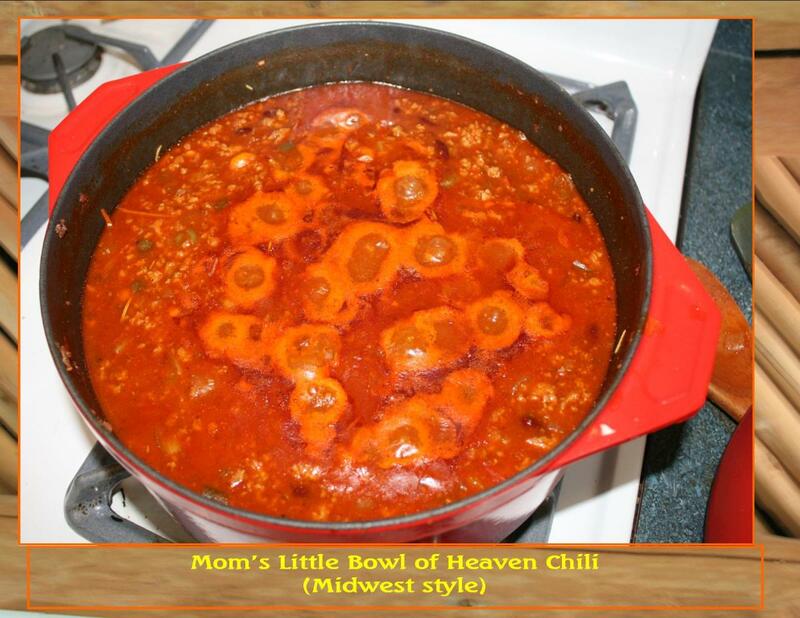 On a cold winters day or if your dealing with a hectic schedule, there is nothing more welcome than to come home to a simmering crockpot full of chili just waiting on you. This recipe serves 12 and is so wonderful and full of spices. 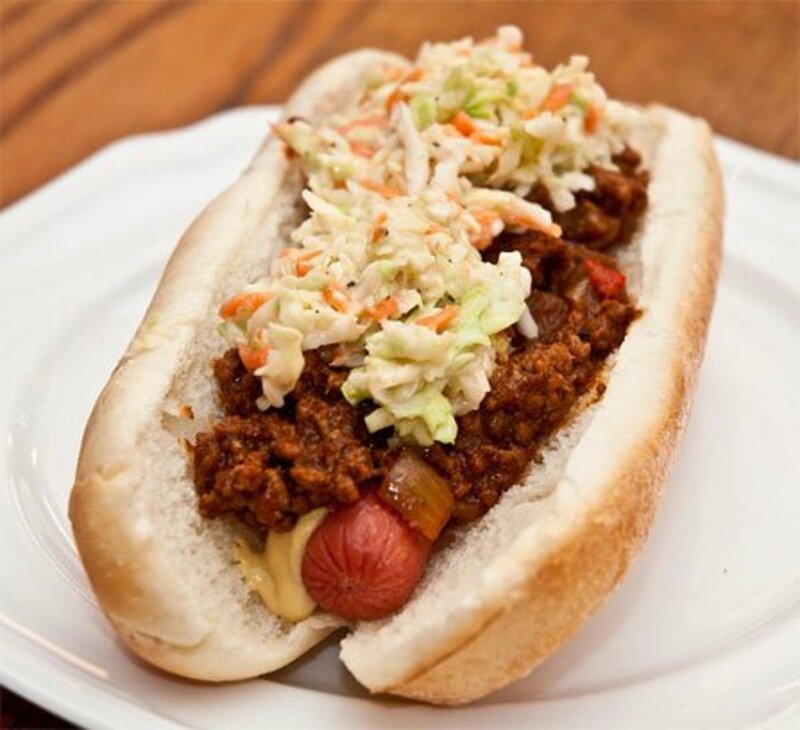 I have never served it at a potluck or for the family and had very much leftovers - which is a shame as I love to also use this for our chili dogs as well. The recipe was created one day by me when we were under a sever winter storm warning and had the potential to be snowbound for several days. I wanted to make enough so that if we lost power we could simply heat and serve thus this recipe was born. We hate bland foods so I basically opened my spice cabinet up and started throwing stuff in... It turned out awesome with no effort after the initial assembly. 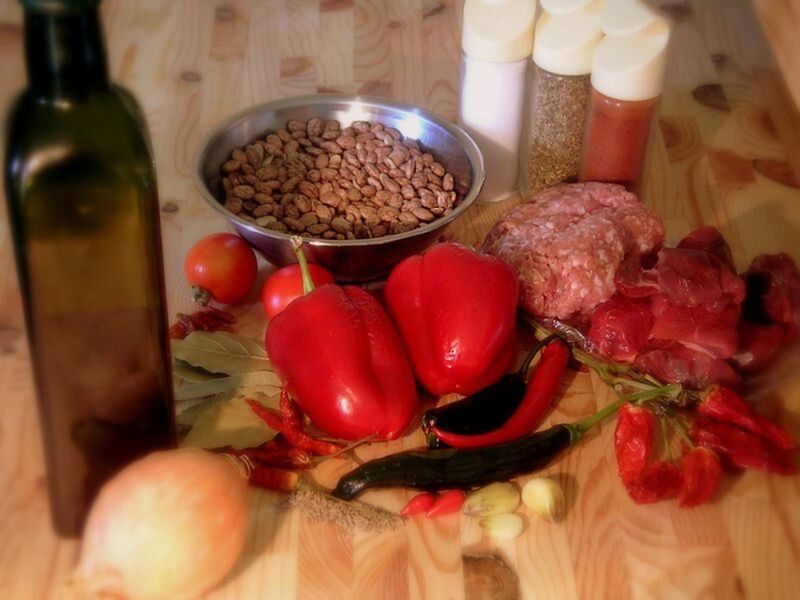 Hope you enjoy Crockpot Chili as much as we do! In a large frying pan, cook the ground beef, sausage, onion, and green pepper until meat is no longer pink and onions are transparent. Chopping and stirring until done-you don't want any big clumps of meat. When finished, drain any excess grease and add to your slow cooker (or dutch oven) along with all other ingredients. simmer on low for 6 hours or until ready to eat. 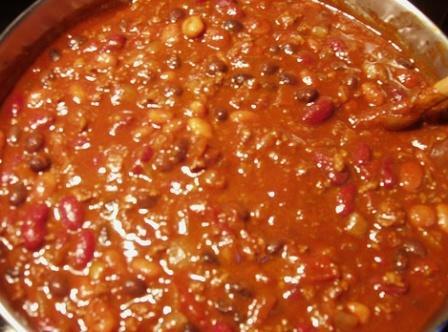 This recipe for crockpot chili couldn't be any easier and is even better when you reheat it. I like to can the extras, when I can get some, so that we have it on hand when we need it in a hurry. It is really good served with traditional toppings or if you're like me, with peanut butter sandwiches. It's GREAT!! Old Fashioned Beef Stew or Worlds Best Banana Nut Bread Recipe EVER! !